What are Fixed Index Annuities (FIAs)? FIAs are contracts between you and an insurance company. Regardless of market swings, this financial product guarantees a minimum rate of return for a fixed number of years. Interest is earned based in part on changes in a market index, which measures how the market–or part of the market–performs. Other characteristics of FIAs include no risk to your principal, tax-deferred growth, and the ability to create an income stream you can’t outlive. State insurance commissioners serve as the regulatory authority and states are required to have life insurance licenses to sell the product. For FIAs, the insurance company assumes the risk. What is the Indexed Annuity Leadership Council (IALC)? How can it help retirement savers? The IALC is a consortium of life insurance companies working together to educate retirement savers about the use of FIAs as part of any balanced financial retirement plan. Its mission is to help educate the public, including retirement savers, reporters, regulators and financial professionals about the benefits of FIAs. These products provide a source of guaranteed income, principal protection, and interest rate stability in retirement. The IALC is also focused on educating Americans about retirement savings and planning by providing access to retirement tools, such as customizable calculations and retirement planning materials. 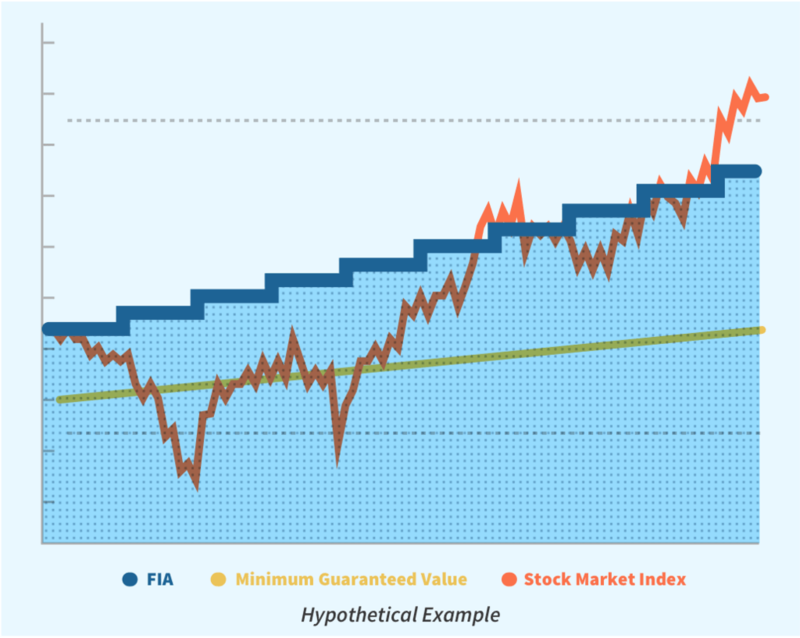 Why are FIAs a good choice for one’s retirement portfolio? Jim, can you explain why or why not this retirement vehicle would be a good choice for high net-worth individuals? FIAs are a good choice for high net-worth individuals because they provide a guaranteed return, versus equities, which can fluctuate and be more volatile. Most high net-worth individuals traditionally invest in a mix of stocks and bonds. The addition of an FIA will add more balance to their overall portfolio, along with the added security that everyone needs. You mentioned the IALC released research in March 2018 focused on the state of America’s workforce. Can you tell us more about what you found? The IALC released a study, “The State of America’s Workforce: The Reality of Retirement Readiness,” in March 2018. The study found retirement readiness is significantly impacted by a worker’s industry and company size. The data found that while eight in 11 blue and gray-collar industries perform below the overall average for America’s workforce, when comparing the retirement-readiness scores across occupational classifications, two blue and gray-collar industries (Protective Services & Engineering) are better prepared for retirement than the entire white-collar industry. The data showed that access to employer-sponsored plans, like 401(k)s and pensions, correlates directly to retirement readiness. Did your recent study find retirement readiness for Americans improved for individuals who diversified their financial portfolio with an FIA? Our data showed that 59 percent of pre-retirees (individuals about five to 10 years from retirement)who feel most prepared for their golden years have access to a 401(k) plan, compared with 39 percent of unprepared workers. Further, pre-retirees who feel most prepared are five times as likely to have individual retirement accounts (IRAs), eight times as likely to have mutual funds and 10 times as likely to have an annuity. Owners of annuities, particularly FIAs, may feel prepared given the insurance product is one of the few that offers principal protection from market swings and lifetime income. It is important to remember that while there is no one right answer—or guaranteed sure thing—having a balanced financial plan is a proven strategy for income growth and wealth protection. Diversifying can mean a mix of 401(k) funds, IRAs and Roth IRAs, FIAs, mutual funds, stock investments and more. What is the future for FIAs? With today’s people living longer and healthier lives, Americans are very concerned about having money to last a lifetime. This makes an FIA very appealing, because it offers the guaranteed income these individuals want in a retirement savings vehicle. Additionally, sales for FIAs have recently increased, which indicates that more pre-retirees are learning how this financial product can be a valuable part of a balanced portfolio for retirement or long-term financial planning. FIAs will continue to evolve, responding to individuals’ demands and needs, just as it has done in the past. The future of retirement and financial planning is changing, and an FIA is a retirement savings vehicle Americans will likely want in their retirement portfolio.